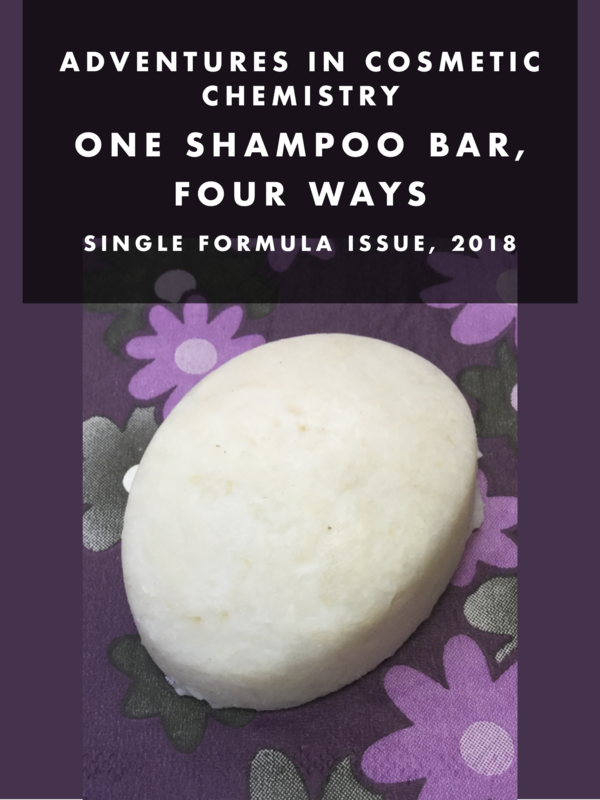 This is the first single formula issue of Adventures in Cosmetic Chemistry – One shampoo bar, four ways. In this edition, we’re using sodium cocoyl isethionate (SCI) and SLSa along with a few different liquid surfactants, proteins, conditioning ingredients, and humectants to create pH balanced shampoo bars, then modify them to become clarifying, moisturizing, conditioning, and hydrating cleansers. If you want to use SCS, adjust the pH, learn how to use botanical extracts and more, please consult the new e-book I’ve just released called Shampoo Bars You Will Love: Creating pH Balanced bars, 84 pages with 39 original formulas and two duplications. This single formula issue contains formulas taken from the larger e-zine. If you buy the larger e-zine, there is no reason to buy this one.